Leonardo DiCaprio once visited Kerala and said “If there is heaven on Earth then it is here”, and he was not wrong. Kerala has the perfect weather throughout the year and serves as an idyllic location for a getaway full of amazing memories and experiences. This state is full of scenic beauty which can easily rejuvenate you. Be it sunbathing on beaches, captivating cruises, appealing coconut gardens or the de-stressing Ayurveda treatment, this place has something to offer to everyone. The South Indian cuisine, the artistic dance forms will surely leave you spellbound. Here is a list of 10 offbeat places in Kerala which you must visit. Nelliyampathy is a serene hill station located at a distance of 60 km from Palakkad in the state of Kerala, India. 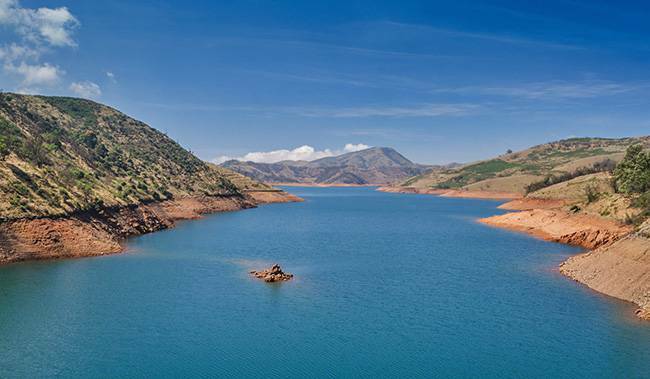 The height of the hills here vary from 467 m to 1572 m. Pothundy Dam serves as an apt entrance to this place. The most common sights here are tea plantation, orange cultivation and bio farming. Though, the natural beauty of this place is in itself enough to lure tourists but Nelliyampathy offers a wide range of others activities too; like camping, trekking, Kinloch birding trail and spice plantation visit. A 100m high waterfall increases the grandeur of this hill station. At the highest point, is present an attractive bungalow known as the Pagalpandi Estate. It was built by the Britishers but is now converted to a resort. A forest lodge is also available for accommodation. Nelliyampathy is a delight for all nature and photography enthusiasts. Kuruva islands or Kuruvadweep is located in Wayanad, Kerala, India. 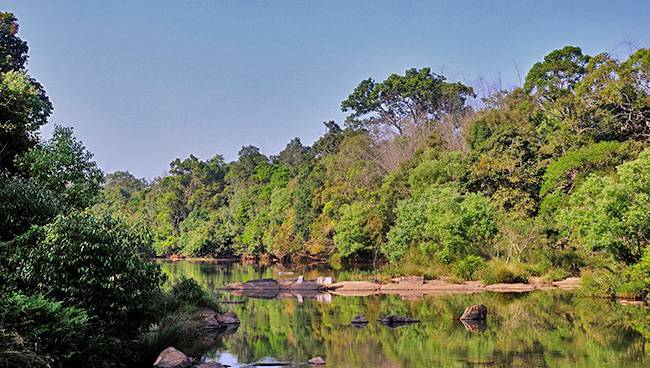 It is a protected river delta on River Kabini and spreads across an area of approximately 950 acres. This area is characterized by alluring dense evergreen forests. 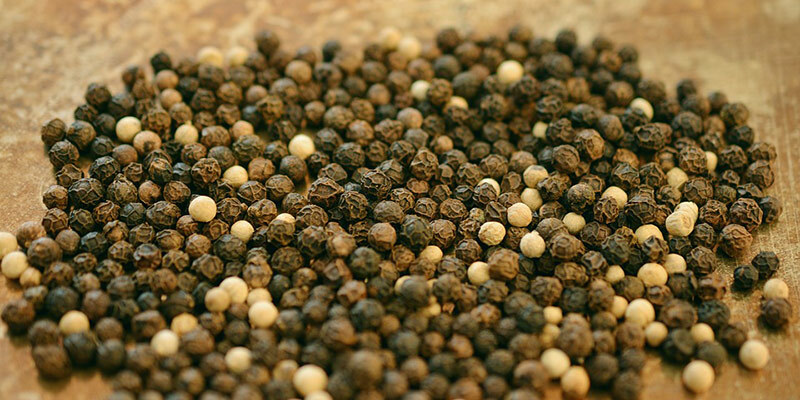 Owing to this factor, you can easily spot some remarkable varieties of flaura and fauna. Some exquisite species of herbs, orchids and herbs can also be spotted here. These islands are surrounded by different rivers and streams from all sides and they are accessible only by a boat or a raft. This is another unparalleled experience as Kuruva Islands has a heavenly atmosphere. As an icing on the cake, this place is also away from the hustle bustle of the city. If you reach here without any prior bookings then you might land in some trouble otherwise Kuruva Islands is a perfect place to make some unforgettable memories with your dear ones. Ponmudi is another beautiful tourist destination located in Thiruvanathapuram, Kerala. Tropical forests adorn this place. The see-through water of the streams will definitely attract your attention. The Echo Point, the Golden Valley and the tea plantations also deserve a visit from all the nature and photography enthusiasts. Ponmudi Falls, Menmutty Falls and Kallar Falls increase the ethereal beauty of this place. Agasthyarkoodam, at a height of 1868m is one of the highest peaks in the Western Ghat region. Not just the environment, but the wildlife diversity is also breathtaking. Peppara Wildlife Sanctuary is a must visit if you are in this area. 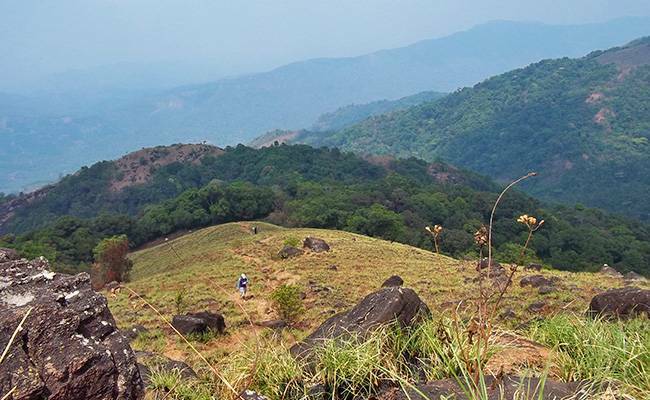 Ponmudi also offers trekking and hiking facilities for all the adventure fanatics. The road to Ponmudi has approximately 23 hairpin curve roads which will increase the thrill of the journey. This exquisite place is one of the most sought after destinations in Western Ghats. Thenmala is situated near Punalur in the state of Kerala. This place is regarded as the first ever planned site for eco tourism. The fact that it is a common shooting location, will assure you that the scenic beauty of this place is awe inspiring. 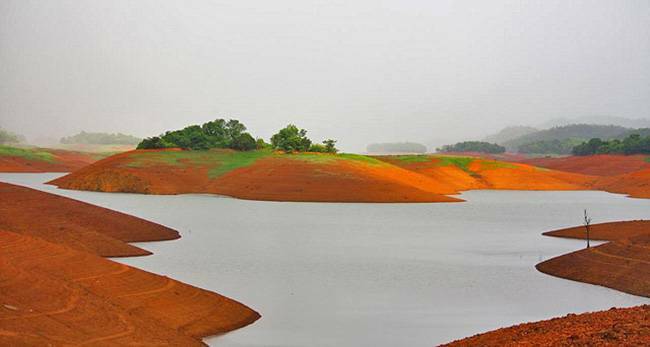 The Thenmala Dam built over River Kallada is a beautiful spot for admiring the sunset. There is also a musical fountain which will attract your attention. Other than the idyllic environment and atmosphere, Thenmala also offers a wide range of activities which include rope bridge, boating, mountaineering, trekking and biking. This makes it an ideal place for all the adventure enthusiasts. The Palaruvi Waterfall is another marvelous gift of nature. Nearby, is a deer rehabilitation center which is quite well known. Thus, Thenmala has a lot to furnish to the nature and photography fanatics as well. 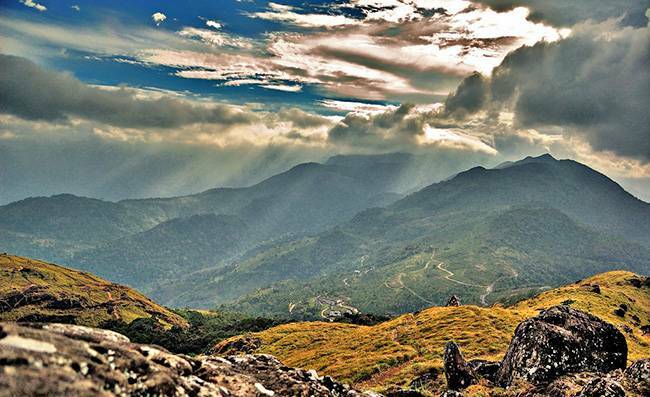 Ramakkalmedu is a magnificent hill station in Idukki, Kerala. Being approximately 3500 feet above sea level, you can see the most majestic bird’s eye view of Tamil Nadu. The Kuravar Monument and the Kurathi Statue are present here. They are of prime historical significance. This is sure to attract all the history buffs to this place. Bamboo forests are another striking characteristic of Ramakkalmedu. It is one of the most windy places in India with average wind speed being around 35 km / hr almost throughout the year. 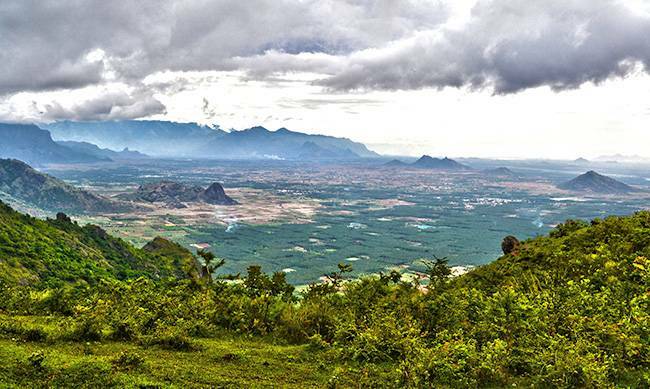 Ramakkalmedu, indeed has much to offer to all the nature and photography enthusiasts. There is another fascinating attribute of this place which will attract all the devotees of Lord Rama. It is believed that at the peak of this place, Lord Rama placed his feet to reach Lanka. Being full of scenic beauty, Ramakkalmedu will attract each and every one. 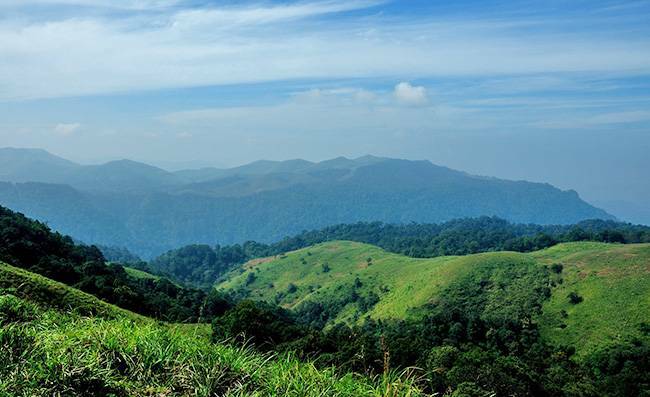 Vagamon is another beautiful hill station located in the Kottayam – Idukki Border, Kerala. Being at a height of 1100 m above sea level, it has a cool climate with the temperature ranging from 10-23 degree C throughout the year. It does not have any commercialization which makes an it an ideal place if someone is looking for a relaxed holiday away from the hustle bustle of the city. 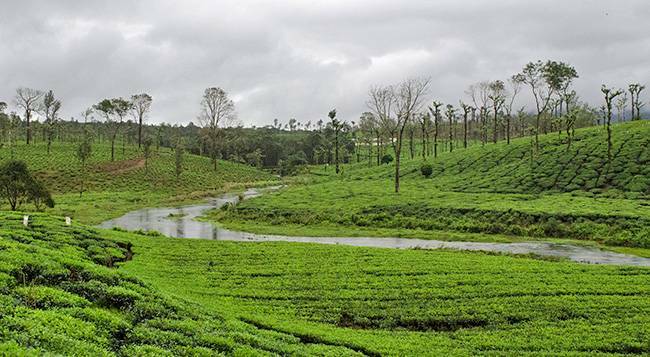 Pine forests, meadows, valleys, waterfalls and tea plantations are some of the scenic attractions present here which are sure to lure you into staying here. There are many varieties of rare orchids which can be spotted. Mooppanpara is another site of magnificent natural beauty. It is a canyon which is V shaped. Trekking, rock climbing, para gliding and mountaineering are some of the activities you can get involved in and make sure you have a memorable holiday. Lakkidi is located near Wayanad, Kerala. In fact, it is the gateway of Wayanad. Being at a height of 700 m above sea level, it is the highest in Wayanad. It is also at the top of Thamarassery ghat pass. The towering mountain peaks, transparent streams, green vegetation cover and a panoramic view of a deep valley is some of the reasons why Lakkidi will sweep you off your feet. Surrounded by hills and meadows, it is an ideal place if you are looking for a serene holiday destination. Nearby, is a lake named Pookot which increases the already magnificent scenic beauty of this place. Lakkidi receives heavy rainfall and the rainbows are a sight to behold. This place is also rich in biodiversity. You can spot lion tailed macque, pond heron, rare birds, little green heron, Indian shag and little cormorant. 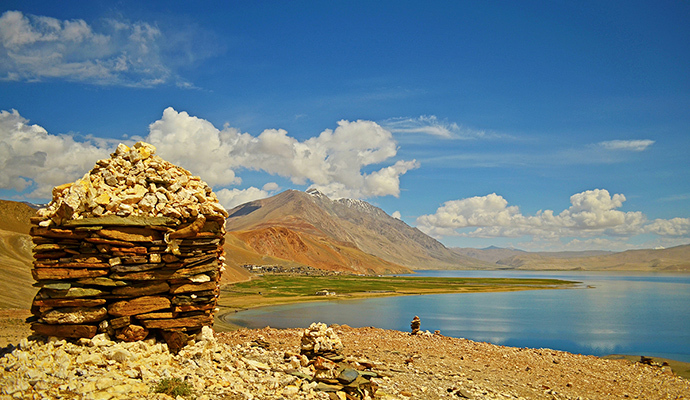 Lakkidi is sure to attract all nature and photography buffs. 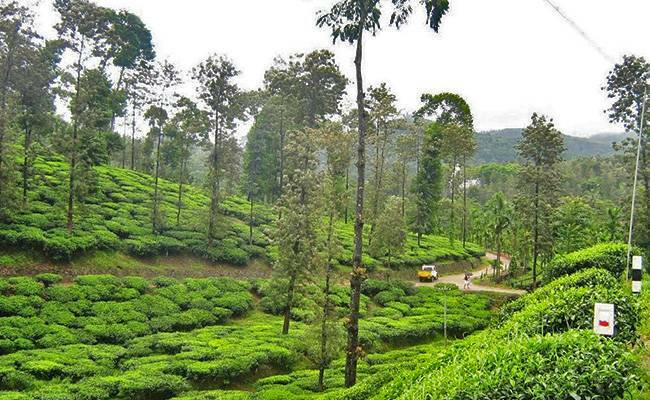 Peermedu is another addition to the list of hill stations in Kerala. It is at a distance of 40 km from the city of Kumily, Kerala. It is at an approximate height of 915 m above the sea level. 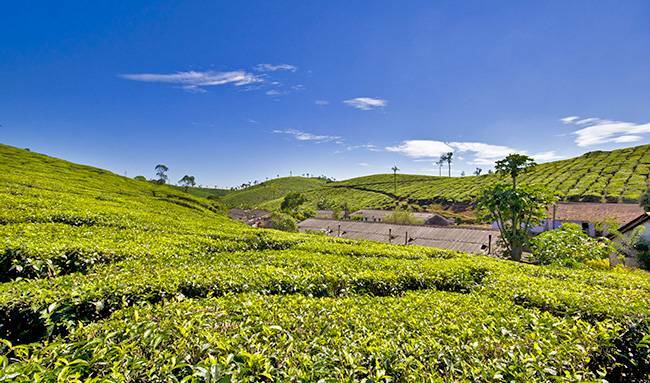 Peermedu can be called a plantation town as it has a good production of tea, coffee, rubber and cardamom. Among the natural attractions of this place are, several silver waterfalls, rocks in the form of sculptures, serene hill tops and green meadow covers. There is also a summer palace of the kings of Travancore. It is a significant historical monument which has now been converted to a resort which is available for accommodation. For the adventure fanatics, Peermedu offers horse riding, cycling and trekking. This place has been well maintained and is ideal for a serene holiday amidst nature. Gavi is a village in Pathanamthitta, Kerala. It is situated within Ranni reserve forest and is a part of the famous Periyar Tiger Reserve. Guest houses are available in this area but forest camping will provide you a unique experience. However, the camping facility is available only in the months of November – March. Therefore, it is the best time to visit. Jeep rides through the area will surely give you an adrenaline rush as you can spot Nilgiri Martens, tigers, barking deers, elephants, Indian Gaurs, bears and sambars. Gavi also has two Gopher trees. These are the only two trees in India and you are sure to be mesmerized by them. The other activities you might want to engage in are wildlife and bird watching, boating, safaris, spice garden visits and the climb to Sabarimala Temple view. Gavi has enough to offer for all nature, photography and wildlife enthusiasts. Ranipuram is one of the most sought after hill station in Kerala. It is located in the region of Kasargod. The majestic scenic beauty of this area will leave you spell bound. The hill tops covered with grass or commonly known as Mani, will make sure that you always praise the pleasingness of this place. The biodiversity of this area is another striking feature. You can easily spot butterflies, little spider hunter, black eagle and crested serpent eagle. Elephants and leopards can also be seen. There are cottages for tourists which are specially made to enhance your experience in Ranipuram. This place will sweep you off your feet, no matter in which month do you come here. Away from any kind of pandemonium, you will have a one – of – a – kind experience in your visit here. This is not an exhaustive list of Offbeat Destinations in Kerala but it does contain some of the places which can not be missed if you are ever thinking of visiting Kerala. The friendly behaviour of the locals will elevate the number of unforgettable memories you make here. I am sure the ravishing beauty of this state will leave you enraptured. We will keep discovering and bringing to you more offbeat places in Kerala in our coming articles.